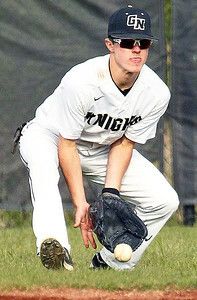 Candace H. Johnson-For Shaw Media Grant's Ricky Allen waits for the throw as Grayslake North's Nick Lovitsch runs safely to first in the second inning at Grayslake North High School. 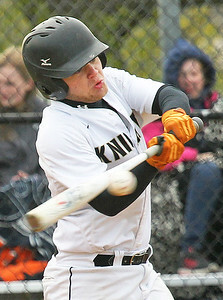 Candace H. Johnson-For Shaw Media Grant's Jimmy Friel tags out Grayslake North's Sebastian Sancen before he gets to second in the sixth inning at Grayslake North High School. 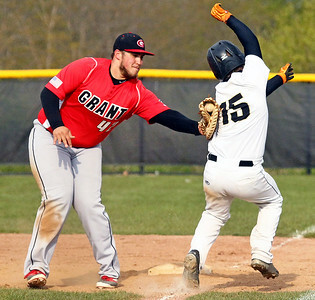 Candace H. Johnson-For Shaw Media Grant's Jimmy Friel (on right) slides safely back to first under the tag by Grayslake North's Chris Kelly in the second inning at Grayslake North High School. Candace H. Johnson-For Shaw Media Grant's Ricky Allen tags out Grayslake North's Regen Marsell before he gets to first in the fourth inning at Grayslake North High School. 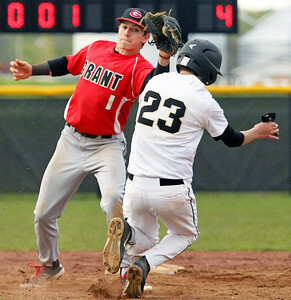 Candace H. Johnson-For Shaw Media Grayslake North's Andrew Keaskowski fields a ground ball against Grant in the fourth inning at Grayslake North High School. 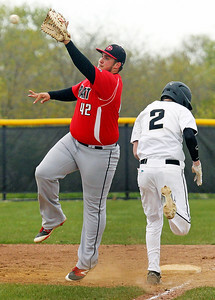 Candace H. Johnson-For Shaw Media Grayslake North's Danny Yates stands near Declan Peterson as he makes the throw to first for an out against Grant in the fifth inning at Grayslake North High School. Candace H. Johnson-For Shaw Media Grayslake North's Regen Marsell connects on a pitch against Grant in the first inning at Grayslake North High School. Candace H. Johnson-For Shaw Media Grant's Sam Fernandez delivers a pitch against Grayslake North in the third inning at Grayslake North High School. 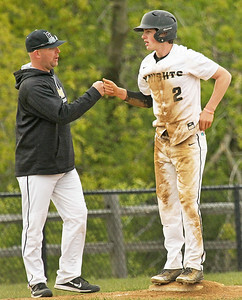 Candace H. Johnson-For Shaw Media Grayslake North's Brett Hill, head coach, greets Nick Lovitsch after he gets to third against Grant in the fifth inning at Grayslake North High School. 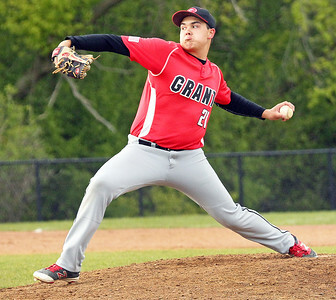 Grant's Sam Fernandez delivers a pitch against Grayslake North in the third inning at Grayslake North High School.